LAST UPDATE! 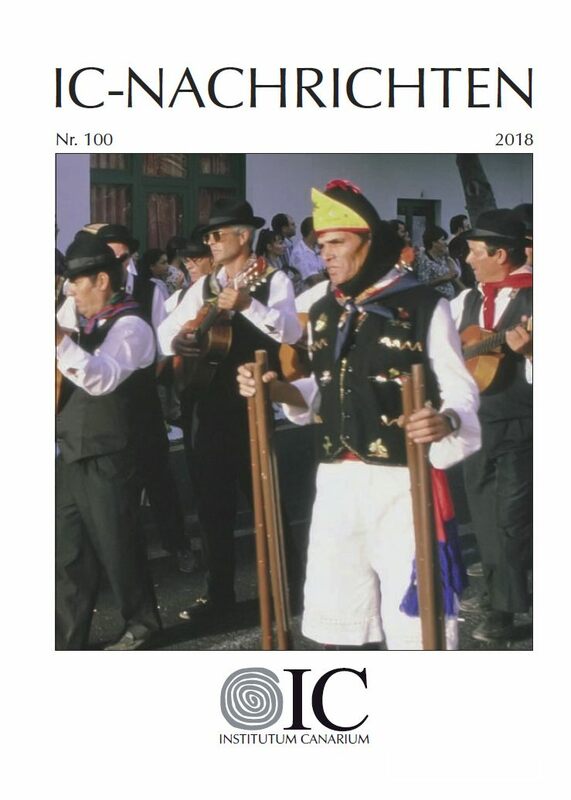 New edition of the journal 'IC-Nachrichten' (no 100). Download full edition as PDF now! New Almogaren 48-49/2017-2018 published! The papers can be downloaded also in the section IC-Digital. New edition of the journal 'IC-Nachrichten' (no 99). Download full edition as PDF now! NEW! Download full edition as PDF now! New Almogaren 46-47/2015-2016 published! The papers can be downloaded also in the section IC-Digital. ICDigital: New paper by an IC member on antique games in the rock-art of the eastern Canary Islands. ICDigital: Further publications now online! ICDigital: Complete bibliography of the Institutum Canarium now online! ICDigital: We started to prepare and offer our publications as electronic documents! 40th anniversary of IC: Our IC-Conference 2009 will take place from 20th to 22th of May in Las Palmas de Gran Canaria! New Almogaren XL/2009 now published! Special edition for the 40th anniversary of the IC! New Almogaren XXXIX/2008 now published! We modernized our website! We are happy to present you our sites with new design, new technique and new features! New Almogaren XXXVIII/2007 now published! Our IC-Conference 2007 took place from 7th to 9th of June in the famous "Natural History Museum" of Vienna/Austria! New Almogaren XXXVII/2006 now published! New Almogaren XXXVI/2005 now published! New Almogaren XXXV/2004 now published! New Almogaren XXXIV/2003 now published! Conference of the Institutum Canarium between 19-21 June 2003 in Vienna (Austria)! See program online! New Online-Gallery: Prehispanic Canary Rock Art! New Volume XXXI/2000 of our publication series "Almogaren"
A new compilation of the "Canary Islands Links" is available! Homepage of the Institutum Canarium now online! Edition no 94 of the "IC-Nachrichten", the news bulletin of the Institutum Canarium is now published and will be delivered to our members. In January a new volume of our publication series "Almogaren" was published. It contains contributions on the actual research on prehistory, rock art and archaeology. The contibutions of this publication series are typically related to the Canary Islands, the Mediterranean and North Africa. This volume will be delivered by post to the members of our society. It its also possible to order this volume at the Institutum Canarium. Content "Almogaren XLIII/2012". Edition no 93 of the "IC-Nachrichten", the news bulletin of the Institutum Canarium is now published and will be delivered to our members. In January a new volume of our publication series "Almogaren" was published. It contains contributions on the actual research on prehistory, rock art and archaeology. The contibutions of this publication series are typically related to the Canary Islands, the Mediterranean and North Africa. This volume will be delivered by post to the members of our society. It its also possible to order this volume at the Institutum Canarium. Content "Almogaren XLII/2011". Edition no 92 of the "IC-Nachrichten", the news bulletin of the Institutum Canarium is now published and will be delivered to our members. In January a new volume of our publication series "Almogaren" was published. It contains contributions on the actual research on prehistory, rock art and archaeology. The contibutions of this publication series are typically related to the Canary Islands, the Mediterranean and North Africa. This volume will be delivered by post to the members of our society. It its also possible to order this volume at the Institutum Canarium. Content "Almogaren XLI/2010". Edition no 91 of the "IC-Nachrichten", the news bulletin of the Institutum Canarium is now published and will be delivered to our members. 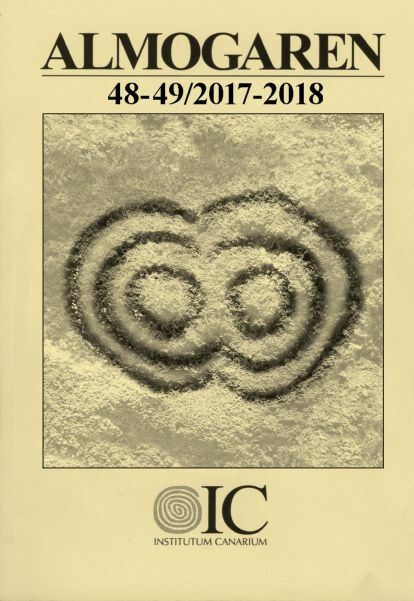 edition for the 40th anniversary of the IC! This volume will be delivered by post to the members of our society. It its also possible to order this volume at the Institutum Canarium. Content "Almogaren XXXXL/2009". In January a new volume of our publication series "Almogaren" was published. It contains contributions on the actual research on prehistory, rock art and archaeology. The contibutions of this publication series are typically related to the Canary Islands, the Mediterranean and North Africa. This volume will be delivered by post to the members of our society. It its also possible to order this volume at the Institutum Canarium. Content "Almogaren XXXIX/2008". Edition no 90 of the "IC-Nachrichten", the news bulletin of the Institutum Canarium is now published and will be delivered to our members. In January a new volume of our publication series "Almogaren" was published. It contains contributions on the actual research on prehistory, rock art and archaeology. The contibutions of this publication series are typically related to the Canary Islands, the Mediterranean and North Africa. This volume will be delivered by post to the members of our society. It its also possible to order this volume at the Institutum Canarium. Content "Almogaren XXXVIII/2007". Edition no 89 of the "IC-Nachrichten", the news bulletin of the Institutum Canarium is now published and will be delivered to the members. Thanks to the generosity of the Directorate-General of the 'Natural History Museum Vienna' the IC-CONFERENCE 2007 could be celebrated in the Austrian capital. Several well-known speakers were invited for presentations. The conference ended with an excursion to the surroundings of Vienna at the last day. The conference programme: german version, spanish version. In January a new volume of our publication series "Almogaren" was published. It contains contributions on the actual research on prehistory, rock art and archaeology. The contibutions of this publication series are typically related to the Canary Islands, the Mediterranean and North Africa. This volume will be delivered by post to the members of our society. It its also possible to order this volume at the Institutum Canarium. Content "Almogaren XXXVII/2006". Edition no 88 of the "IC-Nachrichten", the news bulletin of the Institutum Canarium is now published and will be delivered to the members. In January a new volume of our publication series "Almogaren" was published. It contains contributions on the actual research on prehistory, rock art and archaeology. The contibutions of this publication series are typically related to the Canary Islands, the Mediterranean and North Africa. This volume will be delivered by post to the members of our society. It its also possible to order this volume at the Institutum Canarium. Content "Almogaren XXXVI/2005". Edition no 87 of the "IC-Nachrichten", the news bulletin of the Institutum Canarium is now published and will be delivered to the members. INVITATION TO THE CONFERENCE OF THE INSTITUTUM CANARIUM 2005. IT WILL TAKE PLACE IN THE MUSEO CANARIO (LAS PALMAS DE GRAN CANARIA) FROM 23th TO 25th OF MAY 2005. In November a new volume of our publication series "Almogaren" was published. It contains contributions on the actual research on prehistory, rock art and archaeology. The contibutions of this publication series are typically related to the Canary Islands, the Mediterranean and North Africa. This volume will be delivered by post to the members of our society. It its also possible to order this volume at the Institutum Canarium. Content "Almogaren XXXV/2004". Edition no 86 of the "IC-Nachrichten", the news bulletin of the Institutum Canarium is now published and will be delivered to the members. In November the executive board decided to change the editorial closing date owing to organisational reasons. The new date is the 30th of January. For the next edition you can still submit your contributions till 30th of January 2004. The closing date for the Almogaren remains at 30th of June. In November a new volume of our publication series "Almogaren" was published. It contains contributions on the actual research on prehistory, rock art and archaeology. The contibutions of this publication series are typically related to the Canary Islands, the Mediterranean and North Africa. This volume will be delivered by post to the members of our society. It its also possible to order this volume at the Institutum Canarium. Content "Almogaren XXXIV/2003". Award of the »Medal Dominik-Wölfel« of the Institutum Canarium to Dr. h.c. Fred Olsen. The next conference of the Institutum Canarium will take place between 19 to 21 of June 2003 in the famous "Naturhistorisches Museum" in Vienna. Many presentations about the Canary Islands and Mediterranean cultures as well as an excursion to Vienna (Kunsthistorischen Museums, Ephesos-Sammlung, Völkerkunde-Museum) are planned. The email for registration or questions can be found on the 'Contact' page. Programme: IC-Conference 2003 (in german). Edition no 85 of the "IC-Nachrichten", the news bulletin of the Institutum Canarium is now published and will be delivered to the members. The Institutum Canarium presents the first big online-gallary of prehistoric Canary rock art. 52 rock art sites of the Canary Islands are presented. 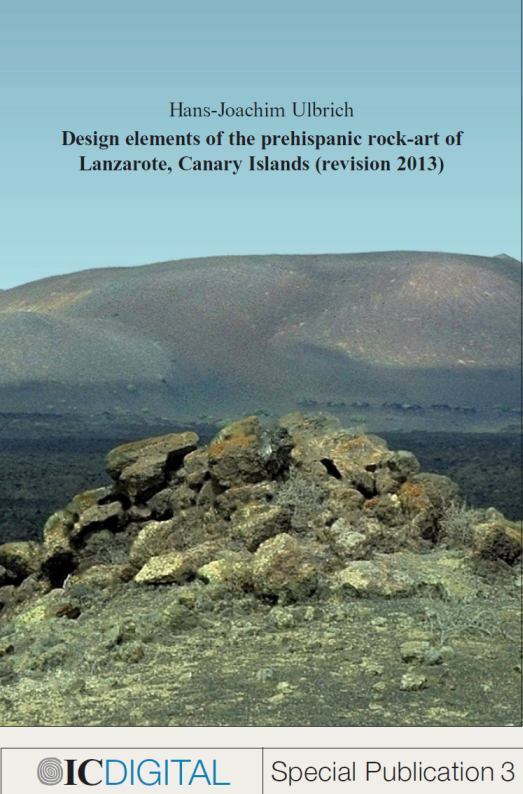 Enter "Canary Islands - Rock Art Gallery"
In March a new volume of our publication series "Almogaren" was published. It contains contributions about the actual research on prehistory, rock art and archaeology. The dominant regional focus is always on the Canary Islands, the Ilhas Selvagens, the Mediterranean and North Africa. This volume will be delivered by mail to the members of our society but its also possible to order this volume. Content "Almogaren XXXII-XXXIII/2001-2002". From 14th to 16th of June 2001 the yearly meeting of the Institutum Canarium proceeds in Vienna. Many presentations about the Canary Islands and Mediterranean cultures as well as an excursion to the exposition of rock art at "Schloss Halbturn" and a visit of the ancient roman town "Carnuntum" is planned. Look at the whole programme here: IC-Congress 2001 (in german). Edition no 84 of the "IC-Nachrichten", the internal bulletin of the Institutum Canarium is now published and will be delivered to the members. A new volume of our publication series "Almogaren" is published. 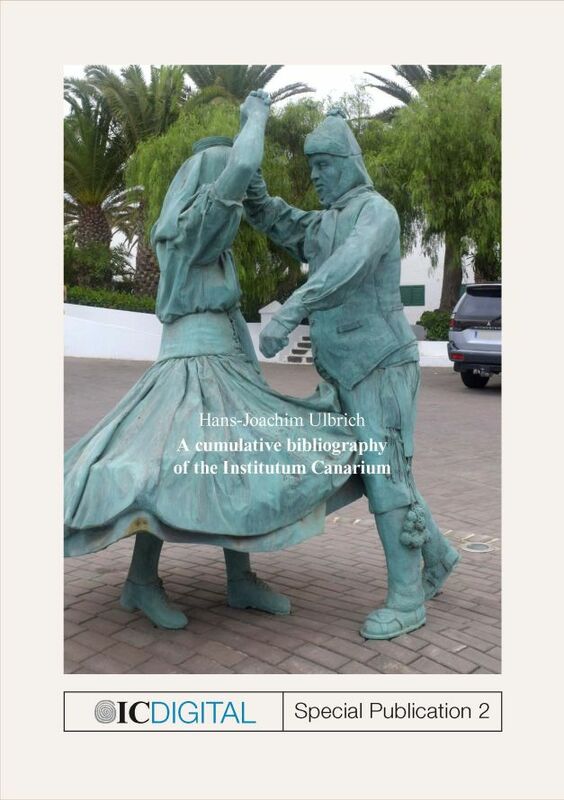 It contains new research on the prehistory of the Canary Islands and North Africa. 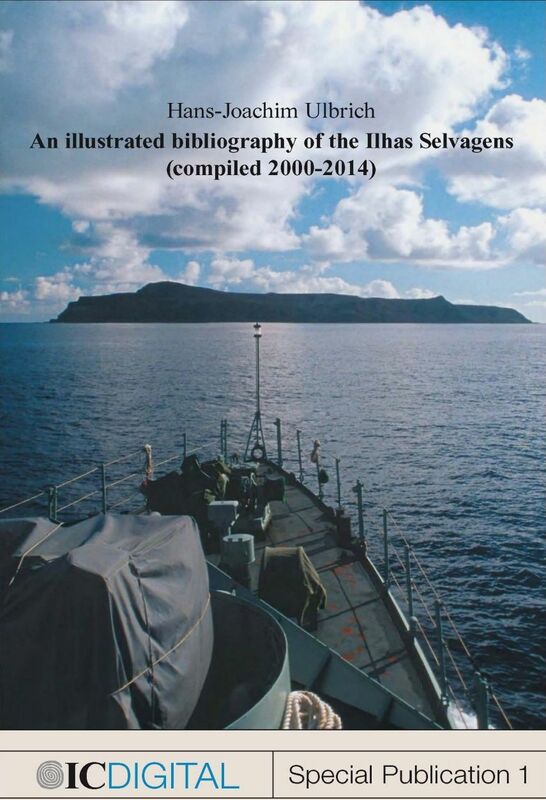 Beside this it contains contributions about the first archaeological research on the Ilhas Selvagens (islands between Canaries and Madeira). Content Almogaren XXXI/2000. We actualised our site with links that concern the Canary Islands. To have a look please click "Canary Islands Links" in the navigation bar. Edition no 83 of the "IC-Nachrichten", the internal bulletin of the Institutum Canarium is now published and will be delivered to the members. From 1. - 3. June 2000: Yearly Congress of the Institutum Canarium at Burg Golling in Austria. See programme with presentations and excursion: IC-Congress 2000 (in german). First version of our homepage is now online (www.institutum-canarium.org). Most of the contents are available in four languages. The homepage is designed for all frequently used web browsers.